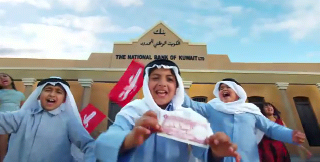 NBK’s 7abeebti Ya Kuwait show, with all the cute dancing kids will have a live show today at 5 pm in 360 Mall. Don’t miss their live show, it should be awesome to watch the kids performing live. In addition, you can also watch a live feed of the show over at NBK’s site here.